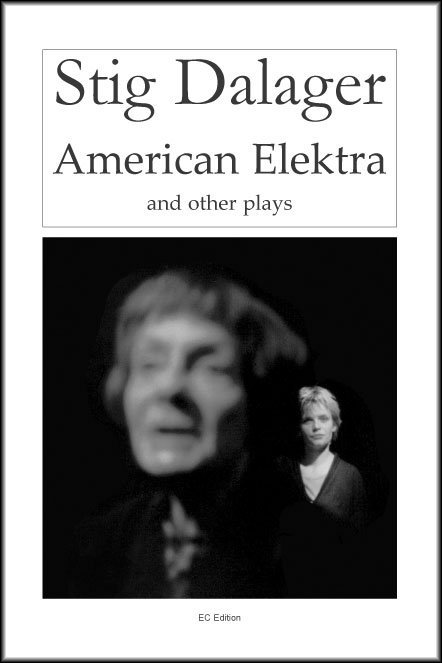 EC Edition Publishers has published this e-book containing six plays written by the international acknowledged dramatist Stig Dalager. His works are translated and published in 26 countries all over the world. Stig Dalager's plays take place inside your head or in the world outside. Some of them take place inside and outside your head simultaneously - between Denmark and the world outside Denmark, between dream and reality. Dalager experiments with the form and the format - monologue, dual monologue, chamber drama, the invisible visible on the stage, realism and symbolism. However, one kind of law - the theatre's fundamental law - he observes with almost zealous care: The law governing the theatre's three unities. The plays in this selection of Stig Dalager's dramatic authorship have all been staged or are to be staged around the world - New York, Washington, Moscow, Beijing, Berlin, Wien, Lodz, Sofia, Tsiblisi and many other cities. In several theatres, they are part of the repertoire. The plays are also produced in Danish theatres, but not as much as you would expect - the reason being that Denmark, as one of our art-denying cultural politicians put it while expressing himself in a particularly Danish manner, "represents too small a language area for the staging of a ballet". All the more reason for Stig Dalager's plays to be produced on the world stage upon which, as we all know, the dramatic language is international.